Throughout September online bingo site Budget Bingo will be holding a special Slots Tournament worth £2000. Spin any of Budget’s fancy slot machines this month and you will earn 1 point for every £10 you spend. There is £2000 in real cash to be won by the top 20 point scorers at the end of the competition. Even if you’re not lucky enough to make it into the top 20 on the leader board you can still redeem every 500 points you have earned over the promotion for £5 cash. 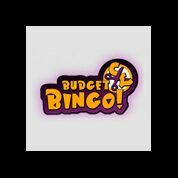 Budget Bingo is definitely the place to play if you like your bingo in abundance without a hefty price tag so if you’re not a member pop over today and have a nosey around. New members get a free £20 bingo no deposit bonus. That means £20 in free bonus for you to try out the site, no deposit required! After you’ve played through your free bonus it’s time to make deposit but don’t worry there’s another treat in store in the shape of a 200% cash match on your first deposit and up to 250% on all future reloads!